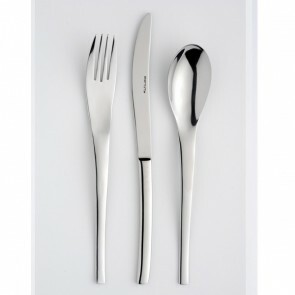 If you are fond of fish or if you are owner of a fish and seafood restaurant or sushi bar, owning fish forks is a must! With its delicate flesh, as per the etiquette fish must handled with delicacy. Hence special table knives are designed to cut the fish without damaging its flesh. 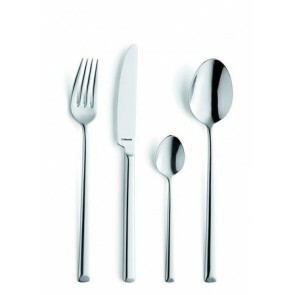 AZ Boutique features a selection of exceptional knives which can be used to taste the fish in a simple and elegant way. 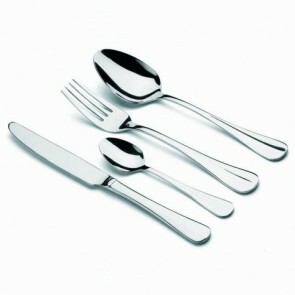 This essential accessory to the table service has an ergonomic handle for a good grip. Long and narrow, this knife is not serrated, but has a smooth flat sharpened blade. 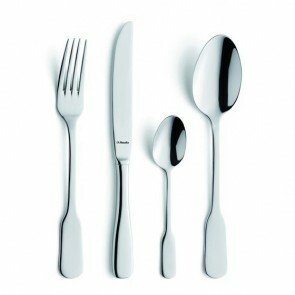 Note that for the table setting the fish knife is usually placed between the table knife and the soup spoon. 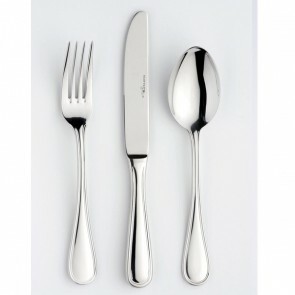 The use of the fish fork and fish knife dates back to the 19th century. 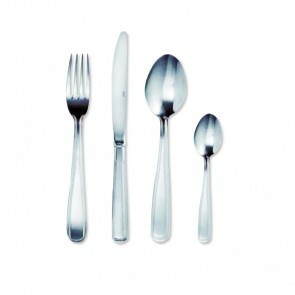 Indeed, at that time, these cutlery items ware goldsmith products and their owners would use them to distinguish themselves from the popular class. The blade of the knives was made of steel, which however would give the fish an aftertaste. Over time, these artisanal knives were made of solid silver or silver metal, which in no way altered the taste of the fish, but which was however very expensive! 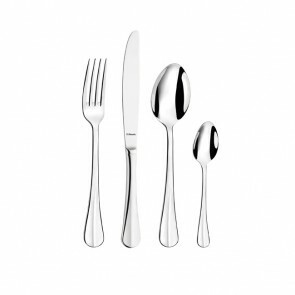 Practical, healthy (perfectly adapted for contact food) and with a stunning aesthetic appearance, stainless steel has brought a whole new dimension to cutlery! 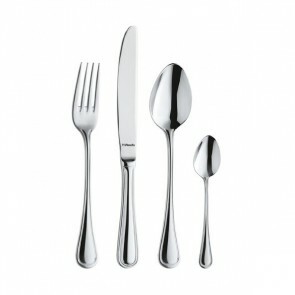 Indeed, the shine of fish knives depends mainly on the quality of the stainless steel. 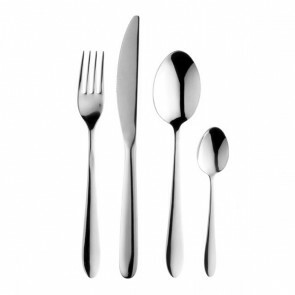 Stainless steel flatware comes is available with different finishes: if it is either endowed with a shiny finish with the mirror-polished effect or with a satin finish. 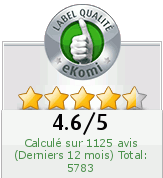 In either case it has a strong resistance to corrosion and wear (especially useful for acidulated food food) and has definitely propelled the tasting of the dishes to the higher level! Fish knives made of stainless steel are therefore perfectly adapted to the tasting of fish: the gourmet will be able to appreciate all the finesse and the flavor. 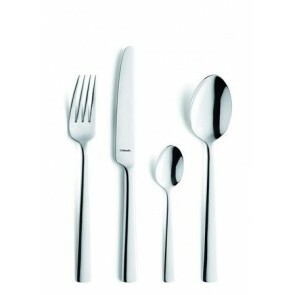 To fully appreciate your starter or fish culinary preparation, it is a must to have adequate the adequate fish cutlery set. 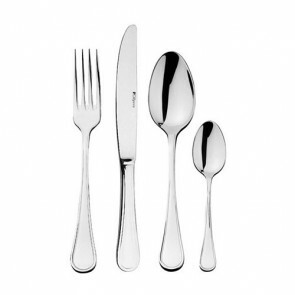 Az boutique your homeware and restaurant supply store features cutlery from major brands such as Laguiole, Albert de Thiers, Pradel, Opinel, Victorinox, Kai, Sabatier International, WMF, Bugatti, Bruno Evrard. Whether you are looking for classic elegance or a sleek modern look for your fish service, the fish knives from the numerous collections on AZ Boutique will be perfect to impress your guests! 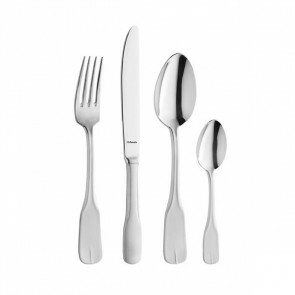 Discover other French cutlery products, such as knife sets, cheese knives, utility knife, steak knives, professional knives and professional kitchen knives (such as the slicing knife, the skinning knife or the fish fillet knife), the carving knife, the paring knife, the boning knife or the filet fillet knife). Other kitchen tools dedicated to cutting and chopping are also available as kitchen scissors, chopping boards and knife sharpener!